Someone is dumping bodies on DI Ted Darling's patch and he's not happy. Ted's a good solid copper, in an old-fashioned way, with an excellent clear-up rate. He's not at all like your average cop and has his own unique way of dealing with any prejudice his differences bring him. No heavy drinking, no failed marriage, just a steady, long-term relationship. He and his partner have cats, not kids. Lesley's first crime thriller, 'Baby's Got Blue Eyes', was published in February 2015, followed by 'Two Little Boys' in June 2015. Books 3 and 4 in the DI Ted Darling series, 'When I'm Old and Grey' and 'Shut Up and Drive' are now available and Book 5 in the series will appear later in 2016. 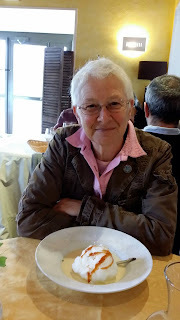 "Sell the Pig" is the first in a series of travel memoirs describing how Lesley, writing as Tottie Limejuice, decided to make the move from the UK to France to start a new life, taking with her an 89-year-old mother suffering from vascular dementia. The story continues in three further books, 'Is That Billinge Lump? ', 'Mother, Was It Worth It?' and 'Biff the Useless Mention'. A fifth book in the 'Sell the Pig' series is scheduled for release later in 2016. Her first children's fiction book, writing as L M Kay, will be published later in 2016. 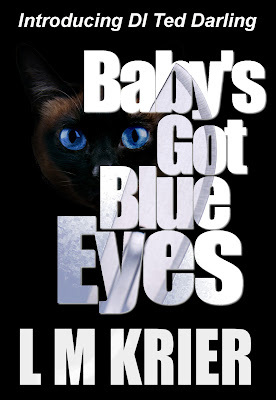 'The Dog with the Golden Eyes' is an exciting children's crime thriller.